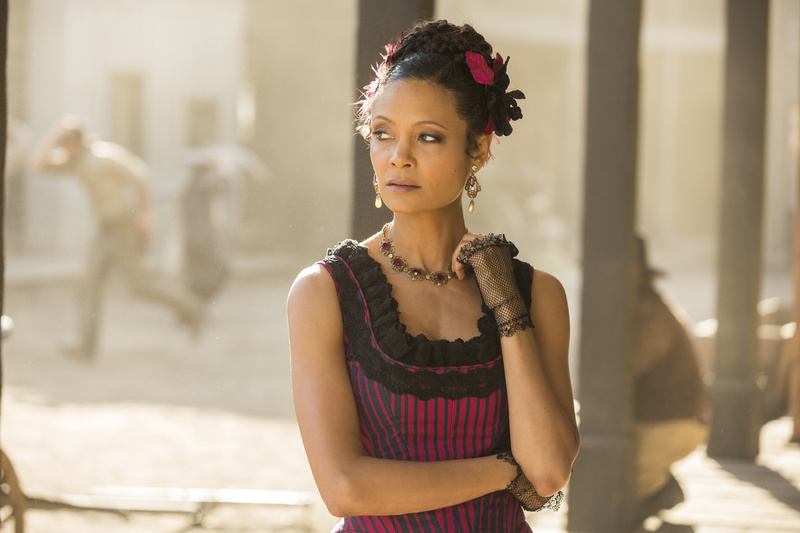 After last week’s episode of Westworld, I for one thought that they had rounded a corner so to speak and were going to use the last three episodes to start to put a bow on this season and propel the show forward towards a second season. I don’t know if “Trace Decay” was necessarily a step backward, but I also don’t think it was a step forward. As discussed on this week’s episode of Differing Opinions on Drake, the episode was a step over and kind of ahead, like it was headed northeast instead of straight north. Obviously last week’s big reveal that Bernard was a robot was a show stopper, so anticipation was high for this week’s episode. Who else was a robot? Was everyone a robot? Was Ford a robot? Am I a robot? Lots of questions, few answers. Yet, with that being said, let’s do it to it. Yes. We can put this question to bed. Or sleep mode. Is William a younger version of the Man in Black? I guess it’s starting to look that way, as the Internet was quick to point out that the damsel in distress MiB and Teddy “rescued” was also the gal who welcomed William to West World in episode 2 and the fact that MiB acknowledged her could easily lead one to think that when he talked about seeing her again, he was referring to that interaction as another time they met. However, I also think you could say MiB could have met her in a similar capacity but not necessarily that capacity. If her job was to welcome guests and MiB has been there a lot, conventional wisdom would lead to a person thinking that they would have crossed paths before. There are two timelines though, right? Yes. Timeline 1 is following the adventures of William and Dolores and Timeline 2 is following the adventures of MiB & Teddy. I think Timeline 2 also includes the workplace drama involving Ford and Charlotte, the death of Theresa and the awakening Neo-style of Maeve. I feel like there’s one lingering reason why William isn’t the Man in Black. There is. It’s that they looking nothing like each other. Not much of a resemblance there. I would think if the two characters being the same person was a legitimate thing and presumably, something that would only gain momentum as the season went on, an effort would have been made to cast two actors who at least look a little like each other. In the end, I’m still not buying it. I’m also not buying much of William to be completely honest. 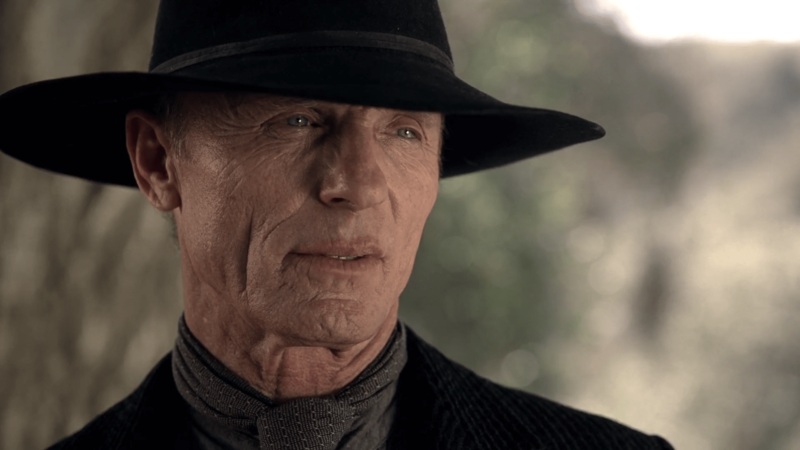 Dude, for starters, coming to West World is the first time you’ve felt something real? The whole thing is fake! Granted he could be talking about something inside of him, but it’s still a stretch – you know, like him becoming the Man in Black. Also, he is so willingly along for the ride with Dolores that he’s completely immersed himself in the fiction of the park. Dude, you can’t be surprised when you “stumble” across a gang of dudes dying on a riverbed. They are there for a reason. I’d also be a little more protective of my water and not as inclined to willingly offer it up when my robot girlfriend asks for it to give to another robot. Last time I checked, robots don’t get headaches because of dehydration. I think mainly I’m just a little over the whole William and Dolores thing. Ok. With that being said, how would you rank the current story lines? Totally. I’m not even 100% solid about what’s going, but I’m cool with. I mean, it’s fairly clear she’s looking to bust out and her being the robot whisperer was pretty sweet. But her full plan seems like a work in progress, albeit one I am totally on board with. Yo, what was up with the dudes dressed like effin’ Minotaurs? I think the spirit of Arnold is alive. Like, he’s alive in the coding. Although I guess that’s a little confusing when you factor in the two timeline aspect. Is current timeline Dolores talking to Arnold or is old timeline Dolores talking to him? Or are they both talking to him? Is Dolores somehow the vessel for Arnold, regardless of the timeline. But Maeve mentioned Arnold so…uh? My head hurts. We’ve come this far. I think we should all wait and reserve judgement until the season is over. Previous: Previous post: Is Metallica Back?